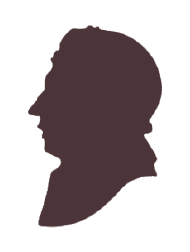 Perhaps the greatest of all English essayists and critics, William Hazlitt lived at No. 6 Frith Street - now Hazlitt's Hotel. Lacking conscious artistry or literary pretension, his writing is noted for the brilliant intellect it reveals. Hazlitt knew all of the literary figures of his day, including Wordsworth, Coleridge, Shelley and Keats. His great friend, the celebrated author Charles Lamb, was with him when he died. At the time, No. 6 Frith Street was a boarding house. His landlady, anxious to re-let his rooms, had his corpse laid out under the bed until it could be collected for burial in nearby St Anne’s Churchyard.